Three years ago, siblings Joe and Jane Smith sat down to Christmas dinner with their families. During the meal, Joe’s wife Mary was well. After visiting the doctor shortly thereafter, she was diagnosed with cancer. By Easter, she was gone. How people react to the passing of a loved one varies from individual to individual, particularly when the death is sudden. Joe found that out firsthand in settling his wife’s estate. What he thought to be fairly straightforward matter turned unpleasant when Mary’s brother accused Joe and Jane of a number of improprieties and filed a lawsuit. 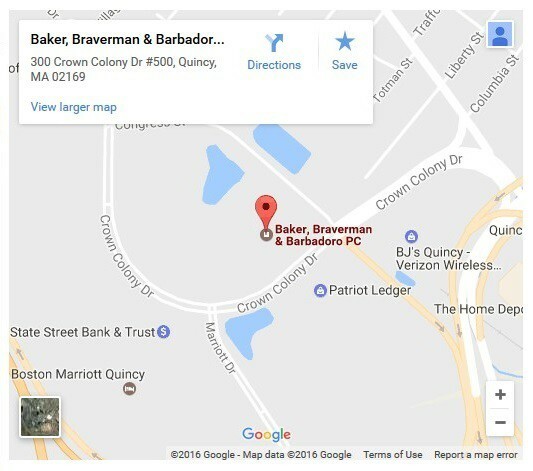 Joe and Jane turned to their estate attorney, who advised them to reach out to Chris Sullivan of Baker, Braverman & Barbadoro. Attorney Sullivan brought in Paul Barbadoro and Theresa Barbadoro to work with the Smiths on a strategy. The Smith’s estate attorney initially advised them to make Mary’s brother co-administrator. The law suit and allegations made against Joe and Jane took that off the table. The team then devised a strategy for the deposition and for handling the case. Paul Barbadoro and Theresa Barbadoro Koppanati handled the deposition of Mary’s brother, the plaintiff. Through a carefully crafted line of questioning, the duo was able to point out flaws in the plaintiff’s claims. Perhaps more importantly, the questioning did not antagonize the plaintiff. Before Jane was to be deposed, the court found the lawsuit had no merit and was dismissed, nearly three years after Mary’s death. Both Smith siblings attribute the successful result to the tactful questioning conducted during Joe and the plaintiff’s depositions. *The names of the defendants have been changed.